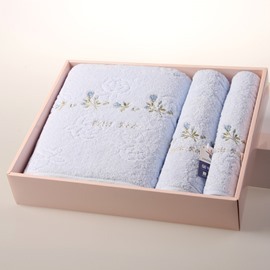 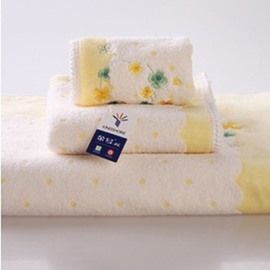 This set contains 1 hand towel and 4 washcloth. 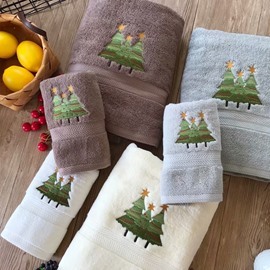 I bought this towel set for my aunt as a gift.She is very surprised at the package design.What's more,the shipping is very fast,only takes one week. 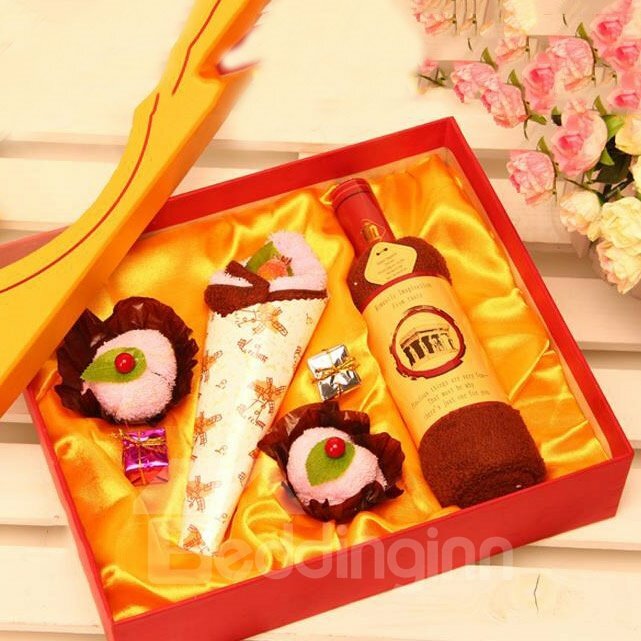 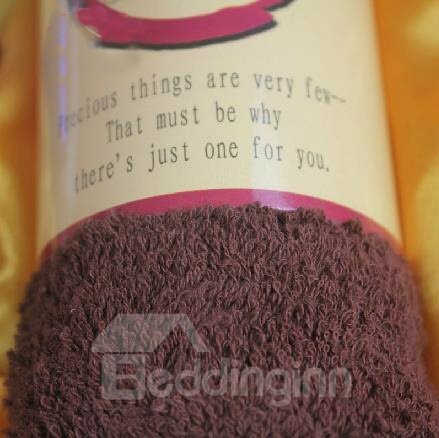 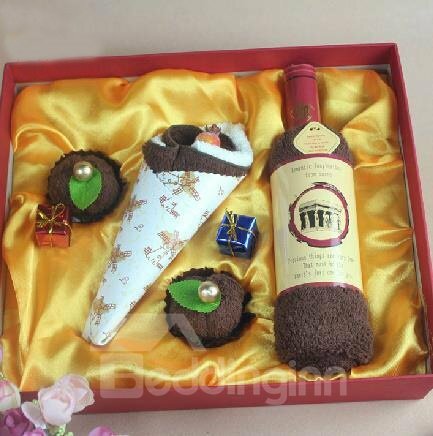 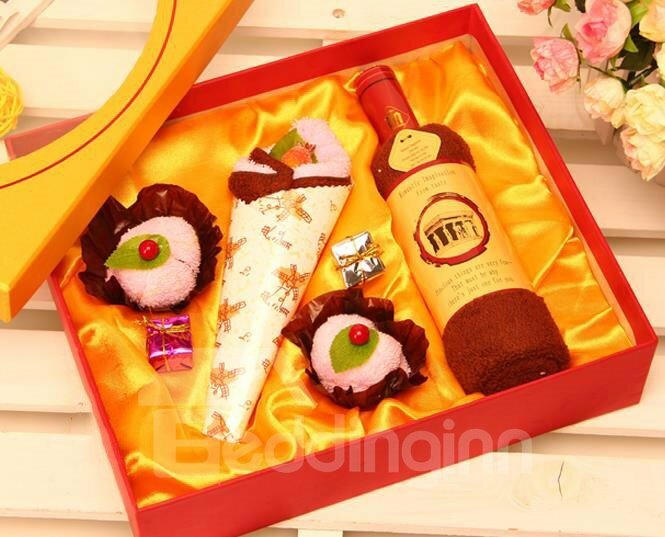 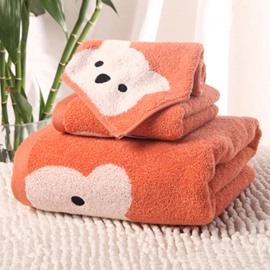 This towel set is not only creative,but also durable.They are not rough and do not shed.The cake towel looks so vivid.If you are looking for a good towel now,I highly recommend this towel set for you.